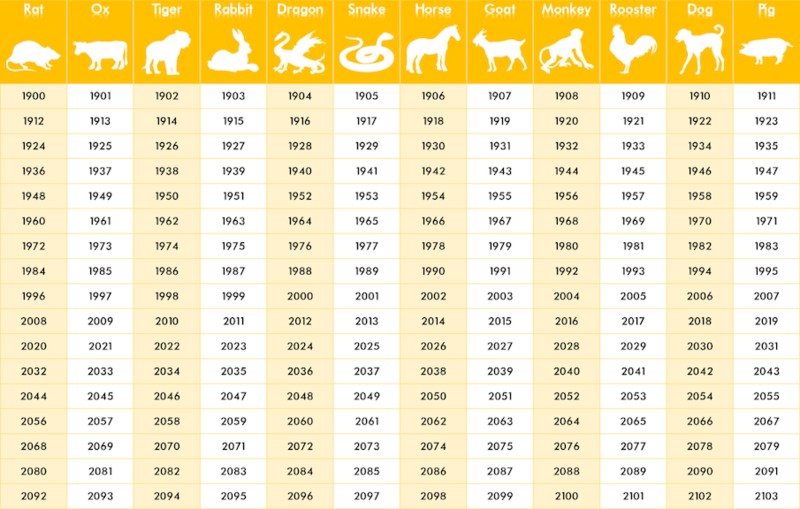 According to Chinese Astrology the year 2019 is the year of the Brown Earth Pig. It’s time of celebration, particularly regarding affairs of the heart. The Chinese New Year starts on February 5th and ends on January 24th, 2020. As the year of the Pig 2019 comes right after the year of the Dog that was 2018. The year of the Dog was all about action, be it inner action or outer. The year of the Brown Earth Pig is all about expansion. This is a great year to make money, and a good year to invest. It’s going to be full of joy, friendship and love for all the signs. It’s a great period for improving on all areas. Because the Brown Earth Pig is a sign that loves pleasures and enjoyment in life this year gives us an opportunity to do the same. It’s also a great year for finding love or rediscovering it. Rats that are in committed relationships will enjoy smooth sailing with their partners. There will be plenty of time for this sign to enjoy the company of their significant others. Single Rats face an uphill challenge, as it may be difficult to meet someone worthy of their love. Members of this sign who are looking for love should play the field throughout the Year of the Brown Earth Pig. Dating will clarify what is desired from a mate, thereby sharpening the Rat’s romantic discernment. The leisurely pace of the Year of the Brown Earth Pig will enhance the contemplative Ox’s romantic life. Members of this sign that are in relationships will have a wonderful opportunity to meet mutual goals, whether it’s to buy a home, have a child, start a family business, or begin retirement. 2019 is an ideal year for single Oxen to find love. Cupid could strike while this sign throws or attends a casual party. Falling in love at first sight is a strong possibility for this normally cautious sign. Reckless Tigers will be challenged in love throughout 2019. After some romantic disappointments during the previous year, this sign will be reluctant to get involved in a serious relationship. Single Tigers should focus on expanding their social circle during this friendly year. Keeping things platonic in the Year of the Earth Pig can pave the way to romance next year. Tigers in committed relationships will be tested to bring stability to their partner’s lives. If this sign obeys its warm hearted instincts, their unions will grow stronger. The playful spirit of the Year of the Brown Earth Pig will inspire the refined Rabbit to undergo a total makeover. The results of this image overhaul will make this sign highly attractive to romance throughout 2019. This won’t be a year to make a serious commitment. Instead, Rabbits should focus on having fun on the dating scene. Those in committed relationships will have to renegotiate the terms of their union. Fortunately, the sensitive Rabbit has great instincts about how to accommodate their significant other. The Year of the Brown Earth Pig is the perfect platform for the charismatic Dragon. While this sign enjoys adulation from all sides, it shouldn’t take their romantic prospects for granted. Dragons in committed relationships should be sensitive to their loved ones, who may feel overshadowed. The more loving, giving, and nurturing this egocentric sign becomes, the better. Single Dragons will have their choice of partners and should beware of breaking hearts throughout 2019. If this sign settles down, it should be with an accomplished romantic interest. The Snake’s natural charisma will be enhanced during the Year of the Brown Earth Pig. Although there will be many opportunities for love throughout 2019, this possessive sign will be especially susceptible to jealousy. An inability to have faith in love interests will make it difficult for relationships to get off the ground. Snakes in committed unions will enjoy the plentiful family time this year will afford. It’s a great time for this sign to conceive or adopt a child. The Snake’s partner will be a source of great comfort. Regarding love, 2019 can be challenging for the industrious Horse. Single members of this sign should beware of devoting too much time to work. The Year of the Brown Earth Pig will be filled with opportunities for professional success, but that shouldn’t mean the Horse spends all its time at the office. The lighthearted energy of this year is good for dating, but it isn’t favorable for serious commitments. Members of this sign who are in committed relationships should enjoy at least one romantic getaway with their partner. The Year of the Brown Earth Pig will be highly satisfying in love for the affectionate Sheep. The playful energy of 2019 will showcase this sign’s best qualities. As a result, single Sheep will find romantic opportunities at every turn. The best bet for this sign is to team up with someone who shares its love of art, culture, and beauty. Getting engaged or married is a strong possibility. Sheep in committed relationships will feel like they’re enjoying a second honeymoon. A trip devoted to leisure is in order. Monkeys in search of love will be frustrated during the Year of the Brown Earth Pig. Although many playful flirtations will abound, it will be challenging to make a profound love connection. This clever sign needs a partner who can provide them with continual mental stimulation. The laid back energy of 2019 will make it difficult to find someone who is smart, funny, and versatile enough for the lively Monkey. Members of this sign who are in serious relationships should fight to stay connected throughout the year. Love will be elusive for single Roosters in 2019. This critical sign is best served by falling in love with themselves during the Year of the Brown Earth Pig. Instead of beating themselves up for making mistakes or falling short of goals, the Rooster should abandon themselves to the appreciative energy that characterizes Pig years. By acknowledging all the progress they’ve made, this honest sign can become more attractive and receptive to romance. Roosters in committed relationships should become more forgiving and accepting toward their partners. The Year of the Brown Earth Pig is filled with romantic opportunities for Dogs. This anxious sign will welcome all the social opportunities that 2019 affords. The ability to let off steam after hours will give the Dog an attractive glow. There’s a good chance this devoted sign will find happiness with a wild adventurer or refined artist. Dogs who already have partners will enjoy lots of quiet time on the home front with their partner. It’s possible the Dog will add a child or pet to their home. Regarding love, 2019 urges Pigs to be free and easy in their relationships. Single members of this sign will be flirting and having fun throughout the year. Although this isn’t a good time to get engaged or married, the Year of the Earth Pig is a wonderful period to find love with someone who is compassionate and diplomatic. Members of this sign who are in committed partnerships should take time out of their busy schedules for intimacy. Sociable Pigs shouldn’t neglect their partners while making the round of parties.